The Fourth Circuit just released its nonprecedential opinion in United States v. Williams, (4th Cir. 2012), here or here. Bottom-line it reverses the district court's holding that Williams had not acted willfully in failing to file his FBAR. Williams, as readers will recall, involved very bad facts for Williams, but Williams nonetheless convinced the district court that the Government had not proved willfulness. The appellate panel split 2-1 in reversing the district court. 1. Before moving to the merits of the opinions (the majority and dissenting), I think perhaps the most important feature of the case is that it is an unpublished opinion. Page 2 of the pdf opinion states: "Unpublished opinions are not binding precedent in this circuit.." I discuss unpublished opinions at the end of this blog, because they are a big subject. But, I ask readers to question whether anyone should view an opinion as precedent for anything if the Court drafting the opinion says it is not precedent. The opinion thus has any effect only if it is internally persuasive in its reasoning. In that sense, therefore, other than the fact that it is a court stating the opinion, it should be no more effective than a law review article or a legal brief in a case. Only if the reasoning is persuasive should it have any effect. Thus, beyond deciding the case at hand (critically important to Mr. Williams), I don't view Williams as being a strong win or a strong loss in terms of its effect on other taxpayers. 2. This invites us to focus on the persuasiveness of the Williams majority and dissenting opinions to see how and if they may apply in future cases. 3. Another interesting feature is that, on the very unusual facts of Williams, four judges have now had to state some opinion on the Williams facts. Two of those judges held for the Government, and two either held or would have held for Williams. 4. The majority and dissent recognize the requirement the Court of Appeals can reverse only if it concludes that the district court factual finding that willfulness had not been proved was clearly erroneous. See FRCP 52(a). 5. It is interesting that the neither the majority nor the dissent ever state crisply the definition of willfulness. Willfulness is a critical concept in the criminal tax law and other criminal laws where it is defined to mean the intentional violation of a known legal duty. See “voluntary, intentional violation of a known legal duty.” United States v. Pomponio, 429 U.S. 10, 13 (1976). (I and others sometimes refer to this as the Cheek standard because the definition was carried forward in later Supreme Court cases and had its full flowering in Cheek v. United States, 498 U.S. 192 (1991), where the Court held that a good faith even if unreasonable belief that no law was violated precluded willfulness.) Even the IRS adopts this definition for purposes of the FBAR civil penalty. See IRM 4.26.16.4.5.3 (07-01-2008) defines "The test for willfulness is whether there was a voluntary, intentional violation of a known legal duty," which is the same as the Cheek / Pomponio definition of willfulness for purposes of the criminal tax provisions. The same IRM says: "Willfulness is shown by the person’s knowledge of the reporting requirements and the person’s conscious choice not to comply with the requirements." The opinions do not state that that is the test that is being applied, although one can infer from the fact that the majority uses a Fourth Circuit criminal tax evasion case -- United States v. Poole, 640 F.3d 114, 122 (4th Cir. 2011) -- as authority for treating willful ignorance as a proxy for or the equivalent of willfulness for the civil penalty. 6. The concept of deliberate ignorance was critical to the court's holding because there was no evidence that the defendant in the case had committed “a voluntary, intentional violation of a known legal duty," and the trial court had made a credibility assessment that he had no such intent. (In this regard, the majority quibbles with semantics in fn. 5 about some perceived difference between motivation and intent.) In a private party civil case turning on willfulness, the Supreme Court has recently suggested in dicta that concept can apply in a criminal case. See Global Tech Appliances, Inc. v. SEB, ___ U.S. ___, 131 S. Ct. 2060 (2011). But it is not yet really clear in my mind whether the Supreme Court really addressed the issue of the role of willful ignorance -- i.e., can it really require a conviction when the statute requires "a voluntary intentional violation of a known legal duty" even if the court determines that there was no such intent? Or, does the concept merely permit a jury to infer from actions that appear to show that the defendant was willfully ignorant that he really had the intent to violate the known legal duty? These are two different concepts -- the first uses willful ignorance as a proxy or substitute for intentional violation and thus expands the definition of intentional to include willful ignorance, whereas the latter just says that evidence of willful ignorance may, with the other facts, permit the jury to conclude that the defendant had the required intent to violate the known legal duty. The majority cites Poole as adopting the former construct ("[I]ntentional ignorance and actual knowledge are equally culpable under the law," but it is far from clear to me that that will be how this potential difference is finally resolved.) For those interested in pursuing this further, my discussion in the current version of my Federal Tax Crimes text is here. 7. As noted, the majority does not ever state exactly what standard it is applying, but does clearly state that it is doing something with the concept of willful ignorance to inform its decision that the defendant met the statutory requirement that he act willfully. 8. I don't think the Court determines that the district court applied an incorrect legal standard in determining willfulness, but rather determines only that, on the facts, the district court was just wrong. 9. Applying the "clearly erroneous" standard in FRCP, the majority reverses because "the evidence as a whole leaves us with a definite and firm conviction that the district court clearly erred in finding that Williams did not willfully violate § 5314." That's the summary of what is required to reverse the district court's fact findings, so the importance of the case, if any, will be in the persuasiveness of the majority's reasoning for reaching that conclusion. 10. In my view, there are two key aspects of the majority's opinion, both of which, although conceptually separate, the majority blends to support its Rule 52(a) conclusion. Here, the evidence as a whole leaves us with a definite and firm conviction that the district court clearly erred in finding that Williams did not willfully violate § 5314. Williams signed his 2000 federal tax return, thereby declaring under penalty of perjury that he had "examined this return and accompanying schedules and statements" and that, to the best of his knowledge, the return was "true, accurate, and complete." "A taxpayer who signs a tax return will not be heard to claim innocence for not having actually read the return, as he or she is charged with constructive knowledge of its contents." Williams's signature is prima facie evidence that he knew the contents of the return, and at a minimum line 7a's directions to "[s]ee instructions for exceptions and filing requirements for Form TD F 90-22.1" put Williams on inquiry notice of the FBAR requirement. Without very careful attention, this quote could be viewed as a dramatic departure of accepted wisdom for years. It has never been the case that merely the signing of a return establishes willfulness as to any item misreported or not reported on the return when the defendant could have learned of the error by reading the return (or the instructions) such that his failure to do so is at least willful ignorance so as to constitute willfulness, defined as an intentional violation of a known legal duty. All the Government would have to do to prove willfulness is prove the error, but it has been standard wisdom that error alone does not prove willfulness. Fortunately, in this exegesis, the majority includes as a critical component that Williams did answer the tax organizer question wrong, so it was not just the fact that he did not read his tax return and was thereby ignorant of the FBAR filing. (See the bolded items in the quoted text.) Hence, although the majority opinion is not precedent for any purpose, even if it were, it should not be cited for the proposition that failure to read a return that has an error that might have been picked up by reading the return is per se deliberate ignorance and therefore criminal. I do note also that in this discussion, the court relies upon the Sixth Circuit decision in Sturman which involved very, very bad facts, and is a precedential decision. But there is not much in Sturman that should give mainstream taxpayers failing to file an FBAR any real concern. For example, the failure to learn of the filing requirements coupled with other factors, such as the efforts taken to conceal the existence of the accounts and the amounts involved may lead to a conclusion that the violation was due to willful blindness. The mere fact that a person checked the wrong box, or no box, on a Schedule B is not sufficient, by itself, to establish that the FBAR violation was attributable to willful blindness. 14. And, perhaps this is the ultimate distinction in this case -- it really will only apply where the defendant admits willfulness or, at a minimum, where the defendant answers no to the tax organizer and Schedule B questions, coupled with an admission of willfulness. If that is the holding of the majority -- and I think it is despite some loose language -- then the case is quite unexceptional and persuasive in any future case only on facts on all fours with Williams. 15. I recommend the dissent as a more nuanced reading of the tea leaves before the court in applying Rule 52(a)'s clearly erroneous standard. If a clearly erroneous review means anything, it should have resulted in affirmance of the district court's holding on the fact issue of willfulness. In effect, the majority seems to turn the factual holding into a legal issue compelling the conclusion on the basis discussed above. 16. Thankfully, the majority and dissent say nothing about the required burden of proof which, I think, is clear and convincing. Of course, had it said anything, whatever it said would not have been precedent. 17. The Coder article quotes one practitioner as extrapolating the majority holding to be that taxpayers "might be held to be aware of an FBAR obligation simply by signing a tax return." For reasons noted above, I don't think that is a fair reading of the majority opinion in context. 18. The Coder article also quotes the practitioner as stating (paraphrased, since not quoted): the majority opinion "may also affect taxpayers who are participating in the IRS's offshore voluntary disclosure initiative (OVDI) but are considering opting out to avoid mandatory penalties." I would not think so unless they have facts equally or close to as bad as Williams, but then those facts would be problematic regardless of the Williams opinion. 19. The Coder article quotes another practitioner as saying that the majority opinion ""essentially creates strict liability for the FBAR penalty" by holding that the filing of a tax return in and of itself establishes willfulness under Title 31." For the reasons noted above, I don't think so. The majority opinion states that, in that case only, where the defendant failed to follow the lead to the FBAR requirement had he read the Schedule B question and where the other bad facts (including the plea allocution admission and answering the tax organizer question falsely) are present, he is sufficiently willfully ignorant to be willful. That is not strict liability from merely the existence of a no answer on Schedule B. 20. The Coder article quotes that practitioner as, like me, thinking the majority saw too much in its footnote 5 distinction between motivation and willfulness. 21. The Coder article quotes another practitioner as saying it was a big win for the Government. I am sure that the DOJ Tax will see it that way when it does the inevitable promo pieces (including its annual report to Congress when it is puffing for money). I just don't see it that way. "I hope that taxpayers will continue to challenge the theory of willful blindness in criminal tax cases, and that the Supreme Court will ultimately address the issue," he said. "It is hard to believe that a court would assume constructive knowledge of a legal duty in the case of any taxpayer who uses a return preparer and did not themselves scrutinize each line of the tax return to understand what obligations they might have under instructions or other forms." 24. The Coder article quotes me. I agree with everything I say until I say something different. Government Fails to Prove Willfulness in FBAR Civil Case (9/2/10), here. Government Appeal of Williams FBAR Case (1/24/12), here. Burden of Proof for Willfulness in FBAR Violations (9/6/11), here. Burden on Government to Prove Willfulness in FBAR Matters (6/8/12), here. The Williams Offshore Account Saga Continues - You Win Some, You Lose Some (4/28/11), here. Collateral Estoppel after Tax Evasion Conviction (4/17/09), here. Practitioner Experience with No Answers to the FBAR Question on Form 1040 (10/5/10), here. Now, for a digression on unpublished / nonprecedential decisions. AS the notes of the advisory committee make clear, the Court of Appeals may not prohibit or restrict the citation of the decision, but it cannot be asserted as precedent. If it were precedent, for example, the next panel having an issue decided in the unpublished / nonprecedential decision can, apparently, consider it only for its persuasiveness and not for its binding effect on that Circuit's panels until reversed by the Court en banc. Thus, it becomes important for a court to decide which cases merit published opinions and which do not. Our view tracks the framework articulated by the great Benjamin Cardozo in The Nature of the Judicial Process. Cardozo distinguished three categories of cases. The first category, the majority of the docket, is comprised of those cases where “[t]he law and its application alike are plain.” Such cases “could not, with semblance of reason, be decided in any way but one. Such cases are predestined, so to speak, to affirmance without opinion.” To publish an opinion in such cases would contribute nothing new to the body of law or to the reader. These cases do not merit even a nonprecedential opinion. Instead, a plain judgment order or citation to the district court opinion in the appendix is sufficient. Cardozo‟s second category of cases, a “considerable percentage” of the docket, is comprised of those cases where “the rule of law is certain, and the application alone doubtful.” In such cases, [a] complicated record must be dissected, the narratives of witnesses, more or less incoherent and unintelligible, must be analyzed, to determine whether a given situation comes within one district or another upon the chart of rights and wrongs. . . . Often these cases . . . provoke difference of opinion among judges. Jurisprudence remains untouched, however, regardless of the outcome. It is in this second category that a non-precedential opinion is legitimate. The rule of law is settled, and the only question is whether the facts come within the rule. Such fact-oriented opinions do not add to our jurisprudence and thus do not require publication. It is only in Cardozo‟s third and final category where an opinion for publication should be written. The final category, the remaining “percentage, not large indeed, and yet not so small as to be negligible,” is comprised of cases “where a decision one way or the other, will count for the future, will advance or retard, sometimes much, sometimes little, the development of the law. These are the cases where the creative element in the judicial process finds its opportunity and power.” From such cases, each modestly articulating a narrow rule, emerge the principles that form the backbone of a court‟s jurisprudence and warrant the full-length, signed published opinions that are the major focus of this Article. Now, which of those categories do you think Williams is in? I think Williams is in the latter category, but the panel just did not want to be bound by its holding in a future case. Does it make any practical difference whether an opinion is precedential or not ? I gather that lawyers can cite unpublished opinions now. I think there may be a problem with the link to the opinion. See the posting at the end of the blog on this issue. To say that you can cite an opinion is not the same as saying that it is precedential. I think all holdings / decisions should be precedential. That is not to say that they should necessarily bind a future court, because courts can always overrule their precedents (in the U.S. courts of appeals that requires en banc review). But, I think, when a court knows the opinion will be precedential, it will be more careful in how it crafts the opinion. Moreover, in areas where guidance from the courts is needed (as in the FBAR area), the public and the other courts and other panels are entitled to a decision that the panel itself is willing to live with in other cases. Arguably, the Supreme Court's decision in the patent case Global Tech Appliances recently, where it seemed to set a high bar for 'willful blindness' and clearly distinguished recklessness from willfulness should have guided the Appellate Court's decision differently. So do you think this recent decision means DoJ/IRS would seek to apply the willfulness standard even in cases where facts are much better for the taxpayer (if the only real issue is an unfilled or incorrectly filled Schedule B Question) ? it does seem like the majority looked a lot at the surrounding facts (very bad) in Williams case, so they were not guided solely by that fact. [ It does also seem like Williams' lawyer made a mistake in not pointing out the distinguishing factor in the Sturman case -- that Sturman actually admitted knowledge of this question and failed to answer it]. I think there are clearly 'hazards of litigation' for the DoJ in any case and developing willfulness requires significant effort on the IRS part, so that may be a factor that still limits the IRS -- at least in cases where there is not sufficient evidence to establish civil fraud on the tax return. What do you think DoJ Tax/IRS will take away from the saga of this case (from district court through appeals court) ? Will they take it as a sign that they can cite this case (unpublished or not) and start assessing FBAR penalties even in cases where there aren't so many bad facts ? Or will they take some caution in realizing that 2 out of 4 judges (one district, one appellate) seemed to reject the FBAR penalties, and that in a case without so many bad facts, a judge or an appellate panel could well decide the reverse ? One would hope that DoJ Tax/the IRS would seek to apply the penalty only in cases where it is clearly applicable rather than threatening the use of massive penalties to coerce taxpayers into paying smaller penalties (via VD programs etc.). Williams is a bit of a borderline case, since he was clearly guilty of a willful violation, but he may well have been telling the truth when he said he didn't know of the FBAR filing duty. I know that your personal experience with DoJ Tax is dated, but perhaps you can shed some light on their mindset. Your questions are good questions. I personally think that Williams is a thin reed for the IRS to start assessing the willful penalty where the facts are not as bad as Williams and extrapolate that DOJ is unlikely to bring cases trying to apply the case where the facts are not as bad. In my view, DOJ Tax can cite the case all it wants, but, if the Fourth Circuit as author of the opinion, did not want it to be precedential, why would any other court want it to be precedential. The opinion can only have any effect if it is persuasive. I think there is enough there to punch at that courts would not find it persuasive in facts that are not as bad as Williams. I believe that the 4th CCA is sending a sub silencio message that the subjective test of Cheek does not apply to a FTF an FBAR case. It seems to suggest a general intent willfulness without the subjective "good faith belief" component. Since Cheek specifically references the unique complexity of the tax law in reaching the "good faith belief" part of the decision and the FTF an FBAR is a Title 31 crime, there is some logic to that view since arguably reporting the existence of a foreign bak account is not rocket science. The Fourth Circuit told the world that it is doing nothing other than deciding the case and is not sending any message, except to the extent that its logic makes sense. Its logic, in my judgment, does not make sense. Of course, I am just a lone wolf rejecting the logic of an opinion that the Fourth Circuit had no confidence in. So, who am I. The SOL is tolled when the person is absent from the US. Since FBAR is governed by a different title, title 31, do the tolling provisions also apply to FBAR. 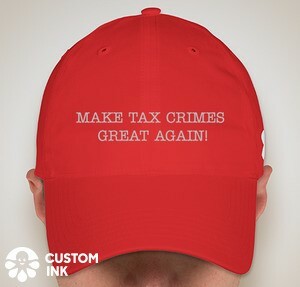 The tolling requirement for tax crimes is in Section 6531 (flush language at end). That does not apply to non Title 26 crimes, including the FBAR crime.